Whenever I travel I usually have luck finding gluten-free options for lunch and dinner but breakfast is more hit-and-miss. Hotel breakfast bars can be limited on options and many gluten-free friendly restaurants are simply not open for the first meal of the day. In these instances, I typically I turn to fruit and a protein bar for substance while on the go. However, while on a work trip to New York City last week I made a point of rising and shining earlier than I needed to so I could walk over to The Little Beet for a proper breakfast. 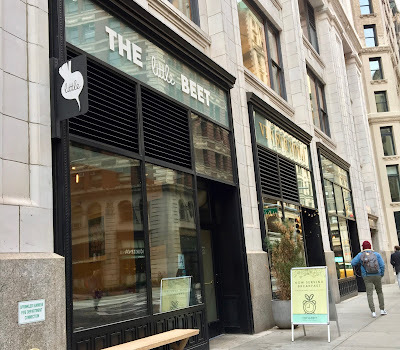 I am already familiar with The Little Beet from their DC location, but their breakfast service was new to me, as my previous reviews covered lunch or dinner. Getting a full breakfast is a luxurious experience while traveling, and I had hopes this meal would set the tone for a full day of meetings ahead. 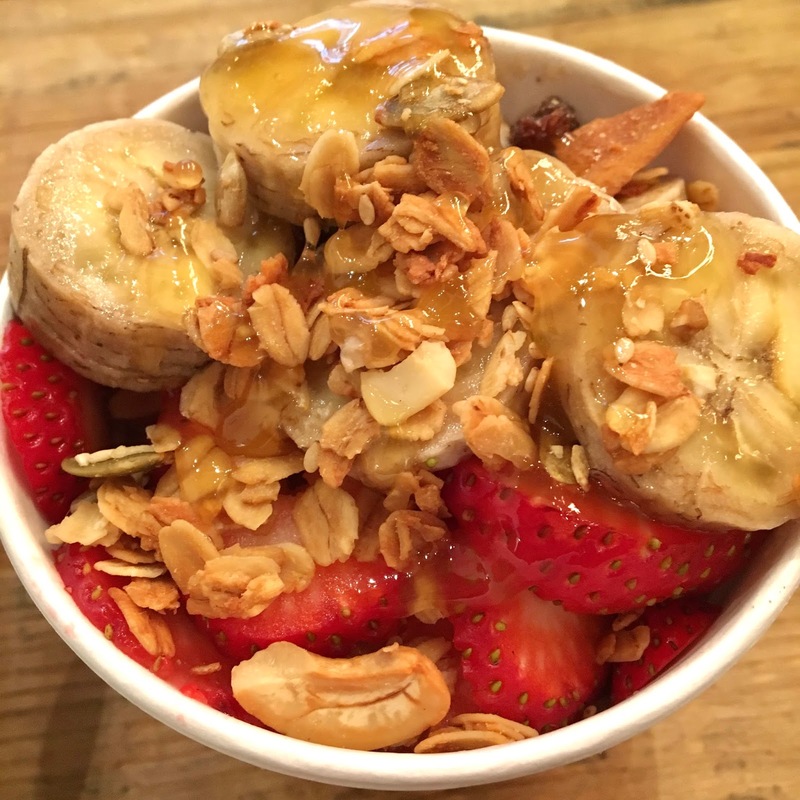 The Little Beet's breakfast options include parfaits (not dairy-free), bowls, and sandwiches. You can narrow down the menu by allergen on their website, so I had a general idea of what I would order when I entered the store. Debating between sweet and savory options initially, I realized I could have the best of both worlds with the affordable prices on the breakfast menu. Of course wanting to review more than one option could have played into my decision too! Either way I decided to order the rise bowl and quinoa "oatmeal". The rise bowl is hearty and bursting with flavor in every forkful. 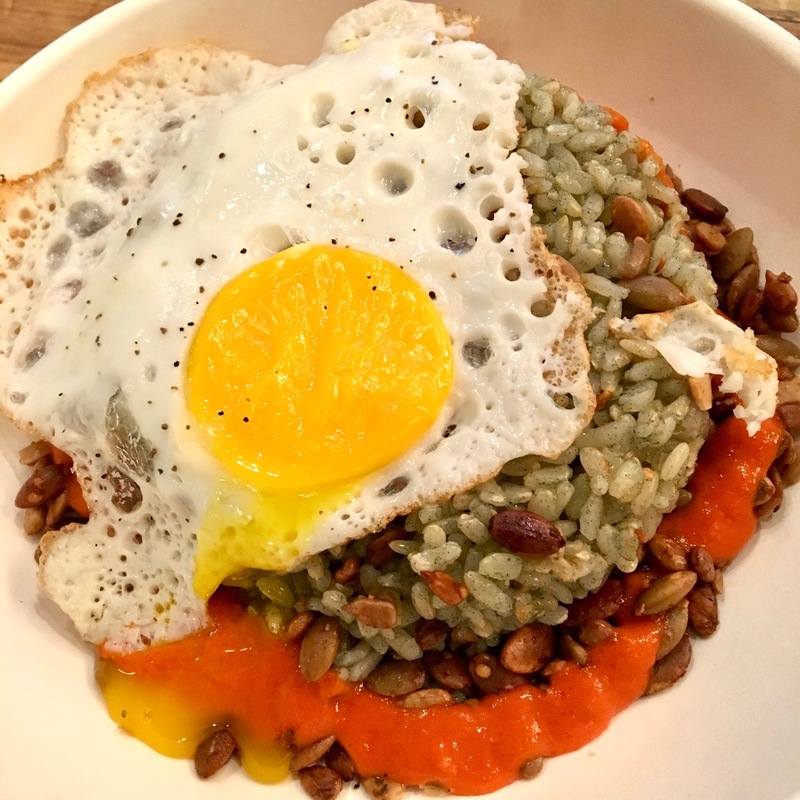 Perfectly cooked spirulina-flecked rice forms the basis, with a fried egg, piquillo garlic sauce, scallions, and super seeds adding flavor and texture contrasts. I loved the spiciness of the sauce, which definitely has a memorable bite and that the fried egg seemed to be fried just to my liking. The nuts added crunch and had a spiciness of their own, and altogether the bowl was a hearty way to wake up my tastebuds. The Little Beet's "oatmeal" is a bit of a misnomer because oats are not the basis of this sweet porridge. Instead, quinoa flakes are the main ingredient, swirled with almond milk, chai spices, maple syrup, kosher salt, and water. If you are dairy-free, be sure to ask for the brown butter removed, but the staff helpfully offered to sub in honey, which I gratefully accepted. Topping it off, I requested fruit and granola, and was pleased to see that the bowl was generously portioned when it came out. This "oatmeal" was remarkable in it that it definitely could run the real thing out of town. The thick, creamy quinoa was smooth and spicy, not too sweet and with distinct notes of cinnamon and other spices. The fruit was perfectly ripe and the granola added a satisfying crunch to each spoonful. I found I could not alternate bites of the rise bowl and this due to competing flavors, so I ate the bowl first and saved the quinoa for the "dessert course" of my meal. Filling and warming on a cool spring day, this more than hit the spot! 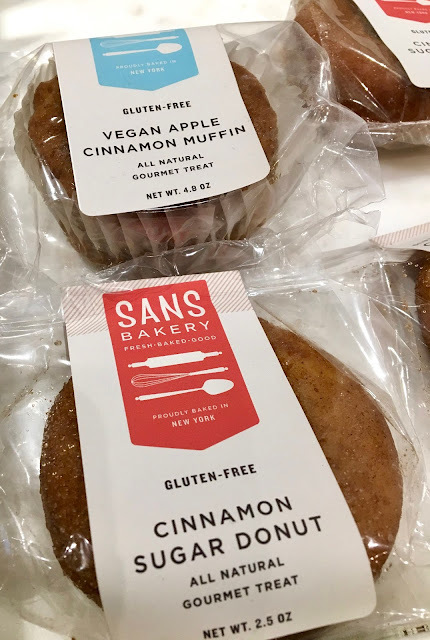 The Little Beet also has gluten-free baked goods on hand from a local New York bakery, but only the apple cinnamon muffins were vegan and dairy-free. I noticed them after paying for my order, and plan on picking on up to try on my next visit! I entered The Little Beet already a fan, but left with my enthusiasm renewed in this chain. The food is impressive, even more so that it's all gluten-free, so the experience is truly a rare one for those of us with dietary limitations. I plan on spending a lot more time (and money) frequenting this location both in DC and New York City, and hope that someday my local restaurant can get breakfast service too. Before signing off I want to extend a special shout out to Sean (I hope I've spelled his name right) who helped me by bringing my food and utensils to my table. He went over and above and his kindness made my meal ten times better.